Laguna Hills, CA – Not uncommon to go for days before we hear from John Lamb during his routines around professional baseball. Although I did receive a series of texts from him following his first start this past Friday night from Springdale, AR, I realize that it could be another few days before timing allows a conversation over the phone. There are simple emotions associated with being a dad of a professional baseball prospect. Joy, sadness and content are the primary feelings related to the peaks and valleys of sports at all levels of competition. Last night’s work for John Lamb (0-0, 6.00) with the Northwest Arkansas Naturals, Double-A affiliate of the Kansas City Royals, was a prime example of the emotions a parent goes through during their kids performance. He faced a total of 14 San Antonio Missions and threw 12 first pitch strikes to those hitters. John came out the gates throwing strikes and managed to strike-out two during his three innings of work, first and last batters faced, before surrendering the ball to the Naturals bull-pen due to his predetermined early season pitch count. 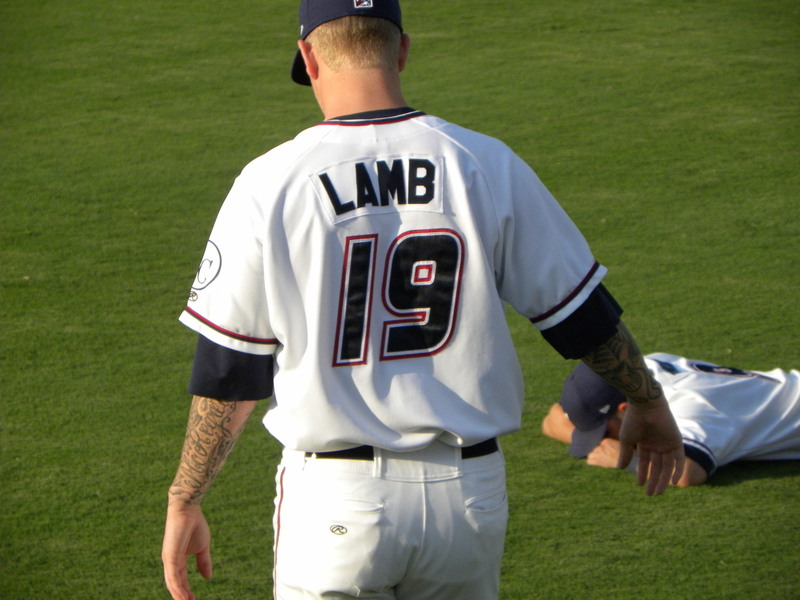 Lamb finished his first start of the season with 63 pitches, 39 strikes, 4 hits, 2 earned runs, 2 walks, 2 strike-outs, 0 home-runs and did not cause into the decision. John had three ground ball outs and three fly ball outs to go with one pick-off of a Missions runner to account for the outs recorded. The Naturals pulled off an extra inning walk-off style win off the bat of Nick Van Stratten in the 11th for the home town fans. All three innings of work by my son incorporated the three common emotions and for now it is just a matter of waiting for a call to further discuss details of his first game start of the 2011 professional baseball season. No news is really good news for the Lamb family while John spends many days away from home chasing his dream. John, I cover the Naturals for the Springdale newspaper. Can you send me an e-mail to pnielsen@nwaonline.com with some contact info. I am working on a story on John, Wil and Salvador being 20-year-old players in the Texas League.